I think a lot of us are nostalgic by nature. Things from the past trigger memories, they allow us to dream about a time gone by and in some cases provide us with a look at a life before our time. Companies have archive material, especially well-established businesses with a long history. Don’t just let it sit on the shelf. Use it to provide your customers and prospects with nostalgia. 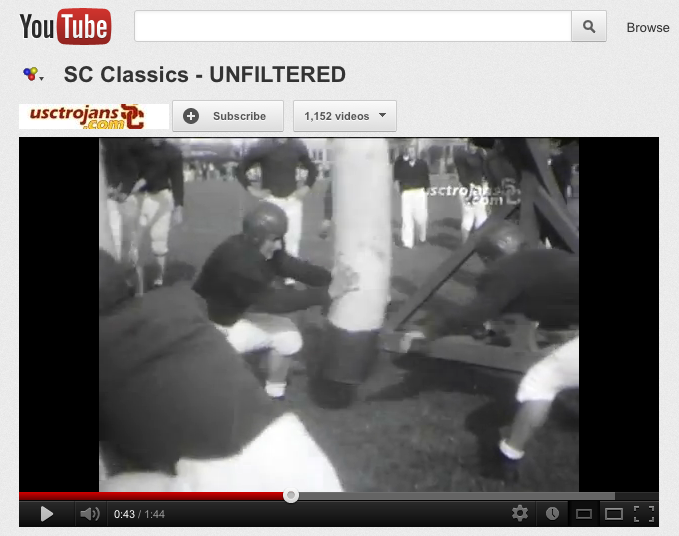 USC just did a masterful job of this, posting on YouTube never-before-seen film of the way the Trojans football team trained back in the 1950s and 1960s. It has no relevance to my life today, I only recognized a couple of people, and yet I couldn’t stop watching. Businesses can do the same sort of thing. Whether it’s showing old commercials, highlighting old catalogs, long-out-of-date training film/videos… you name it! Take materials from the past and turn them into your content of the future.